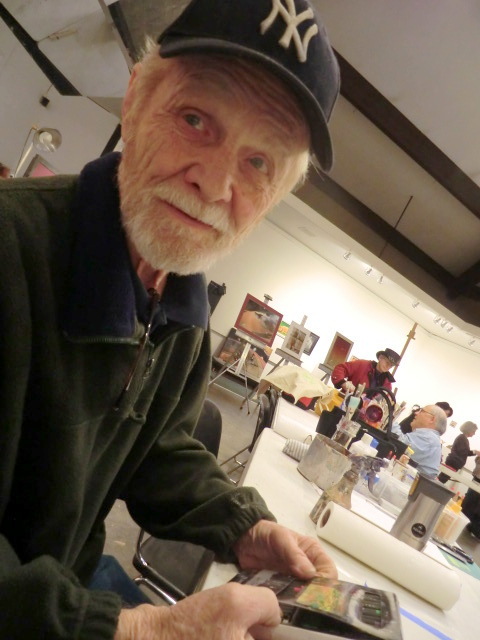 Jac Kephart provided a two day workshop over January 23 and 24 to a packed gallery of 18 eager participants (sponsored by the Grand Junction Brush & Palette Group). As Bob Martin said, “He is one of the most benevolent artists I have encountered,” and never were words more true. Jac taught, shared information and knowledge, critiqued others’ efforts, and was an all around wonderful presence over the two days. Lucky were we who enjoyed and benefited from his teaching. Jac inspires creativity. 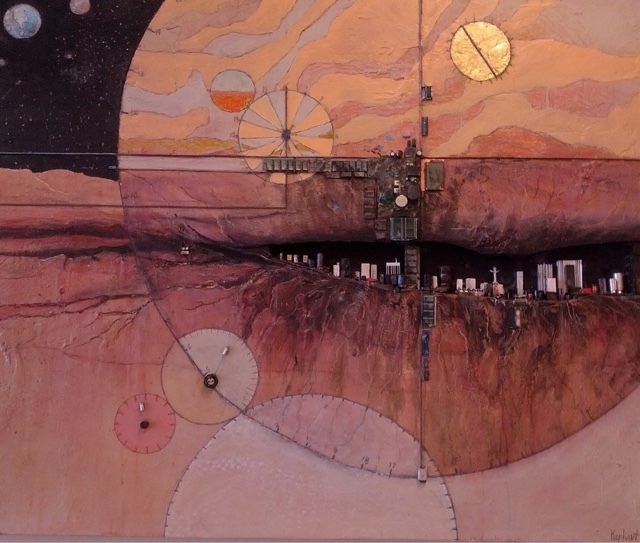 His workshops take participants from traditional still-life drawing to experimenting with paint, pastel, metallic papers, found objects and even tar. 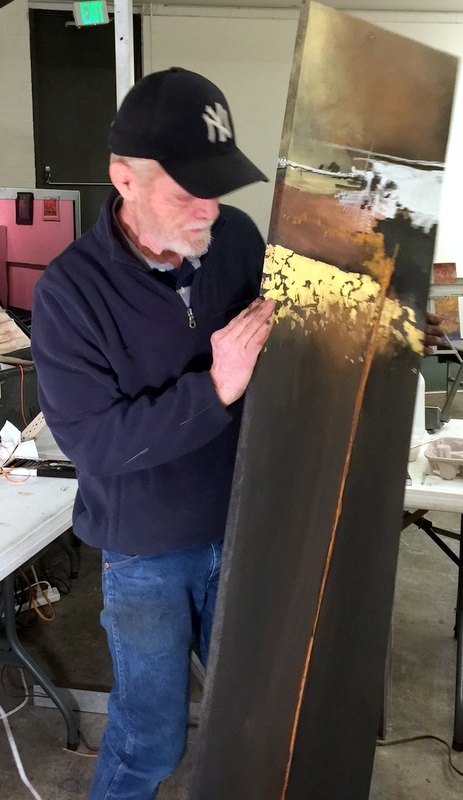 His career has been a progression from abstraction to traditional landscape painting, and a return to abstraction and a search for the ultimate creation. Below are a few pictures from the workshop. Above picture is that of Mark Chioni who shared his techniques of macro photography. Mark uses Jac’s works, among other beauty seen if one is open to looking for wonder, and photographs macro images, choosing most pleasing compositions of shadow and light for his work. Mark’s work can be seen at REDEDGEART. (Also look at FRONTIERGATES). Lee Golter also shared his expertise of macro photography and picture manipulation. I failed to have my camera when Lee presented, but hope to share some of his work in a future post. Hello!! I enjoyed your blog and the experiences you had with Jac Kephart. Would like to attend his next workshop. Will you be inviting him back in 2018??? ?